Helping new car dealerships remain the go-to provider for maintenance, tires, and repairs. DriveSure helps dealerships include a suite of benefits with every oil change, designed to protect you and your vehicle until your next routine maintenance visit. DriveSure makes it easy for new car dealerships to offer unbeatable vehicle maintenance and bring customers back for service, tires, and unplanned repairs. 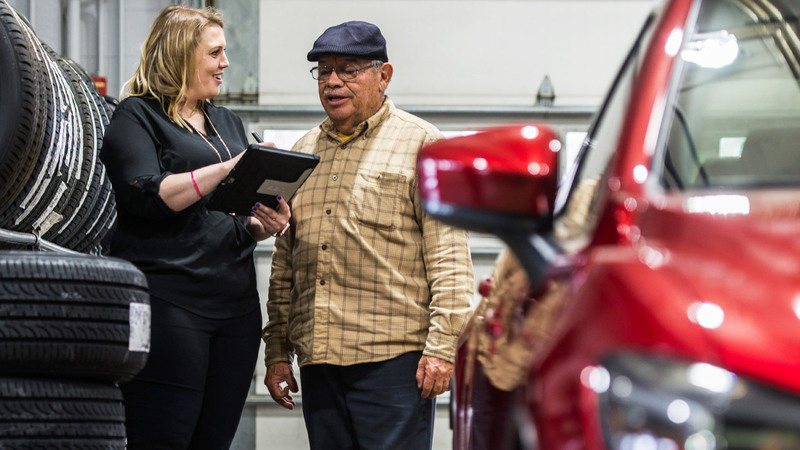 By providing a unique suite of benefits with each oil change, DriveSure dealerships stand out from the crowd and create lasting relationships with their customers. For vehicle owners, DriveSure benefits provide peace of mind on the road and make it easier than ever to resolve unplanned repairs and tire issues. DriveSure adds that extra value that we’re all looking for. DriveSure is a great product, it’s been extraordinarily successful, and has benefited us a great deal. Our Kia business is soaring. When I ask employees and customers, “What do you think about DriveSure?” 100% of the response is, “Don’t ever get rid of it.” The customers love it. The employees love it. It’s just an awesome benefit to offer. © Krex, Inc. All rights reserved.